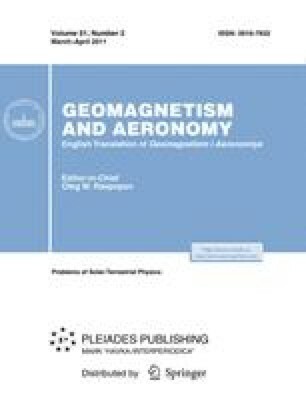 This article considers the process of entry of cosmic substance into the Earth’s atmosphere and the further evolution of the formed extraterrestrial aerosol. It is shown that meteorite-derived aerosol generated in the atmosphere may affect the Earth’s climate in two ways: (a) particles of meteoric haze may serve as condensation nuclei in the troposphere and stratosphere; (b) charged meteor particles residing in the mesosphere may markedly change (by a few percent) the total atmospheric resistance and, thereby, affect the global current circuit. Changes in the global electric circuit, in turn, may influence cloud formation processes. The obtained results argue for the fact that the meteoric dust in the Earth’s atmosphere is potentially one of the important climate-forming agents. It is shown that the amount of interstellar dust in the Earth’s atmosphere is too small to have a considerable affect on atmospheric processes. Original Russian Text © M.G. Ogurtsov, O.M. Raspopov, 2011, published in Geomagnetizm i Aeronomiya, 2011, Vol. 51, No. 2, pp. 278–286.